The right sermon illustration can can really make a difference to your preaching and teaching. Let's face it. Nobody wants to be boring. We all want people to listen to what we believe God wants us to say, and no preacher wants their congregation to endure a trial of focus and concentration. In this book, Pastor Tony, an experienced teacher in the body of Christ, has compiled hundreds of sermon illustrations with preachers and teachers in mind. Arranged topically, this book is a must-have for regular speakers. 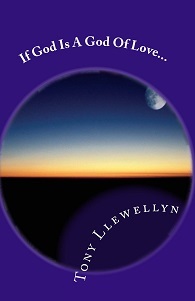 Available as an e-book or a book. 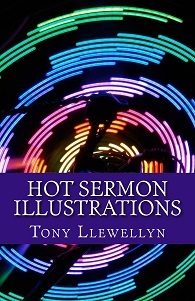 For more information and to purchase your copy click Hot Sermon Illustrations. If God really is a God of love, why are there wars? Why is there a hell? Why do people die? Why are there starving people? Christians are often at a loss to answer these kinds of questions, and quickly go on the defensive. But thankfully, there are practical answers. In this book, Pastor Tony answers these questions and others in a way that both Christians and non-Christians can understand. For more information and to purchase your copy click If God Is A God Of Love. Discover the secrets of successful songwriting! Songwriting is an art, but behind every art, there is the science that provides the framework for artists to create. 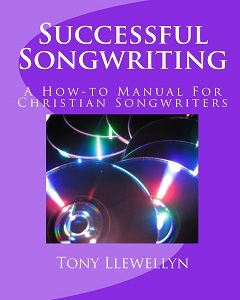 Having taught songwriting in various colleges, Pastor Tony now shares the secrets that can help you write great songs. This book covers essential techniques for the songwriter's craft including rhyme patterns, lyrical hooks, song content, conceptual thematising, lyrical & musical form, musical elements, rhythmic devices, dealing with writer's block, and more. For more information click here, or to purchase your copy from Amazon Books, click Successful Songwriting. Spiritual warfare is an area of Christian life that is easily relegated to one of two extremes. It is either seen as irrelevant in our enlightened times and therefore ignored. Or it is viewed as an activity to be engaged in on special occasions when the church participates in a spiritual warfare meeting. That's just what the devil would like us to think. This book is based on sound Biblical teaching that every Christian, like it or not, is involved in warfare daily. If you're serious about overcoming the devil, read this book. Learn about Satan's tactics, how important your mind is in spiritual warfare, the power of God's Word and the name of Jesus, and why visualising yourself wearing the armour of God will put you at the devil's mercy. Buy this book and equip yourself for war now! 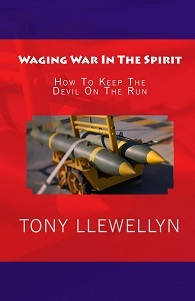 For more information and to purchase your copy click Waging War In The Spirit. Many Christians put the issue of alcohol in the "too-hard" basket. Can we drink alcohol, or not? Confusion reigns. Many base their beliefs on their own prejudices or experiences. Others base them on the opinions of others. But God wants us to get our values from His Word, not just popular opinion. Since there is no higher authority than Scripture, this book looks at both Old and New Testaments to discover what God says. 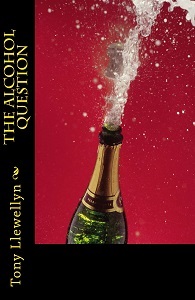 For more information click here, or to purchase your copy click The Alcohol Question. Man, Christians do some dumb things! It seems that God's people are so often determined to ruin their own lives. They plot a course that leads to turbulent waters, and end up as yet another unhappy wreck on the bottom of life's ocean. This authoritative manual on messing up your life humorously guides the way to spiritual collapse. If you're one of the strange ones who don't want to fail, read this book to discover what not to do. For more information and to purchase your copy click How To Mess Up Your Life. For many budding musicians, "theory" is a dirty word. Say it in the presence of an instrumental student, and it's almost guaranteed to make their face drop. However, music theory is an essential part of being a good musician. This book has been designed for contemporary musicians. It doesn't major on Italian musical terms, the rules of four-part harmony and other topics of importance to classical musicians. Rather, topics covered include chord structure, improvisation and chord substitution and the theory necessary to understand them. 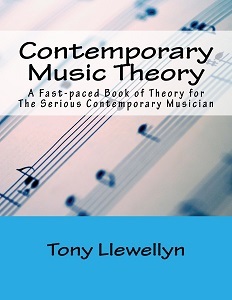 For more information and to purchase your copy click Contemporary Music Theory. This is not a songbook. It's a book of piano techniques. The intent of this book is to give you the actual techniques used to make embellish your piano playing and make it sound better with a contemporary feel. For this reason, the book isn't for beginners and a certain amount of musical knowledge - like the ability to read music, an understanding of scale degrees and chords etc. - is assumed and necessary to understand it. Suitable for anyone wishing to improve their playing or those who want to make the transition from a more classical style to modern. 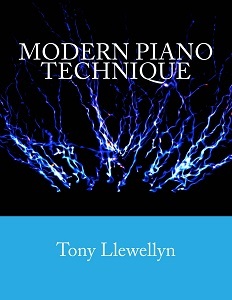 For more information and to purchase your copy click Modern Piano Technique. If you've always wanted to learn guitar, don't put it off any longer. The basics of the guitar are really not that hard. All you need is a reasonable instrument (the cheaper it is, the harder it make it! ), some self-discipline and regular practice, and you'll be strumming away in no time at all. This book is written for adults and smart kids. In it, you'll learn the basics of reading music, basic chords, bar chords, strum patterns, and finger picking. 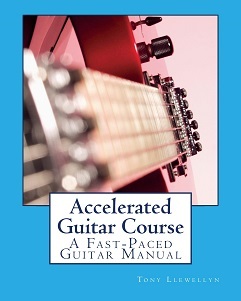 For more information and to purchase your copy click Accelerated Guitar Course. One of the fundamental truths of Christianity is the Trinity - Father, Son and Holy Spirit. But because the word "Trinity" isn't used in the Bible, there are many cults that refuse to believe in this truth. This book explains what the Trinity is, traces the plurality of God in the Old Testament through to the teaching of the triune God in the New Testament, and explains the differnt roles of the three Persons of the Godhead. 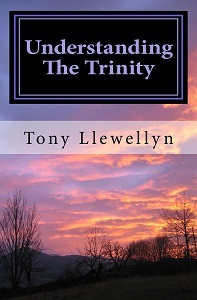 For more information and to purchase your copy click Understanding The Trinity. Want to play lead guitar but don't know the scales? Can't read music? This book is for you. Good lead guitarists use a vast array of scales in their improvising including major, minor, blues, major & minor pentatonic, whole tone, diminished and half diminished scales, as well as the modes. These scales are all in this book, and the great thing is that you don't have to read music. Every scale is displayed on a diagram of a guitar fretboard so you can learn them visually, quickly and easily. Just flip to the right page and start playing! 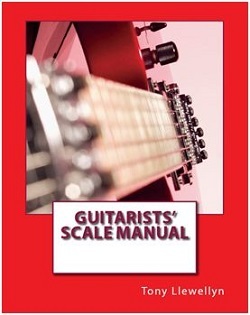 For more information and to purchase your copy click Guitarists' Scale Manual. One of the highlights of every church service is celebrating the Lord's Supper. This can be a time of meaningful connection with the Lord, or it can be a time when people have a sip of wine, bite on a small piece of wafer, and basically tune out. One of the challenges is not just the actual act of remembrance by partaking of the communion elements, but ensuring that the words that are spoken during that time are meaningful as well as interesting so that people don't drift off into a different mental space. This book is designed to present communion talks in such a way as to engage the attention of the audience as well as to minister to them. In all, there are thirty communion talks to help achieve this end. 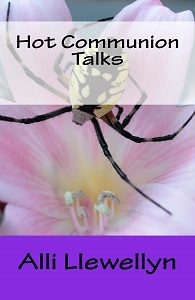 For more information and to purchase your copy click Hot Communion Talks.